1. Before assembling your gas build it and decide how you will supply gas to this location. If you choose to run a natural gas line to the unit, be sure to have it installed by a certified gas technician before you begin this project. 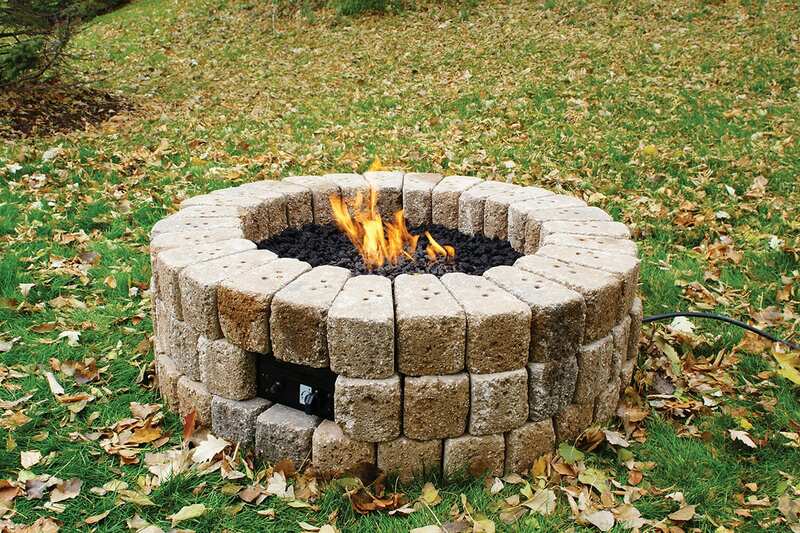 Check any city ordinances as well, to ensure your new fire pit will be legally built to code. 2. If putting your fire pit in grass, mark a 40-in. diameter circle and remove all grass, sod, and roots. Remove 2 inches of soil within the same area. Be sure to level the soil where your fire pit will be built and add between 1-2 inches of paver base. Pack the paver base and use a level throughout the process. 4. Next, lay your first ring of hardscape block in a circle. We chose to use 4-in. 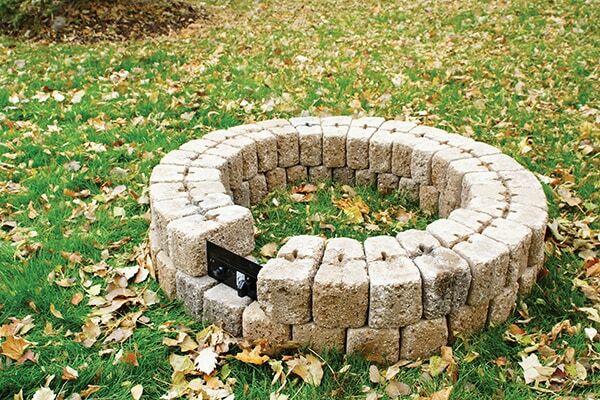 tall tumbled radius pavers, but you can also use retaining wall block or something similar. We recommend an interior diameter between 32-37 inches. Use a rubber mallet to level. 5. 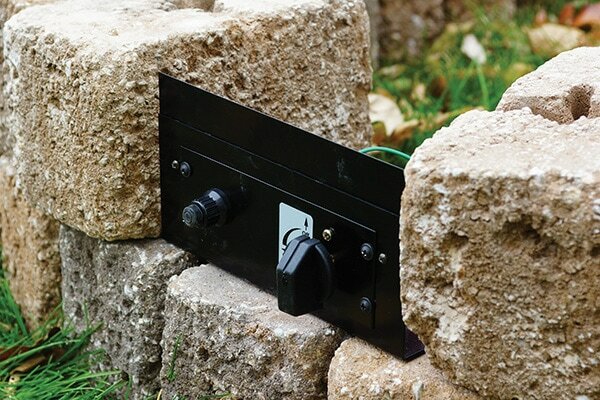 Place the next ring of concrete block leaving space for the control panel and optional vent block. 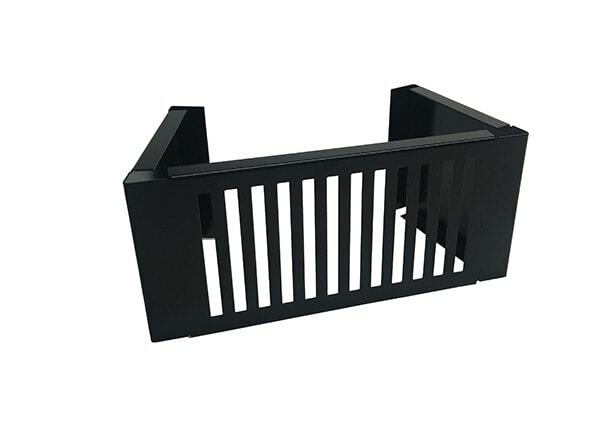 If you choose to forgo the vent block, concrete blocks must have adequate space between them to allow air flow underneath the burner, we recommend at least 10 square inches total. Consult your Gas Burner Kit manual for specific instructions. 7. 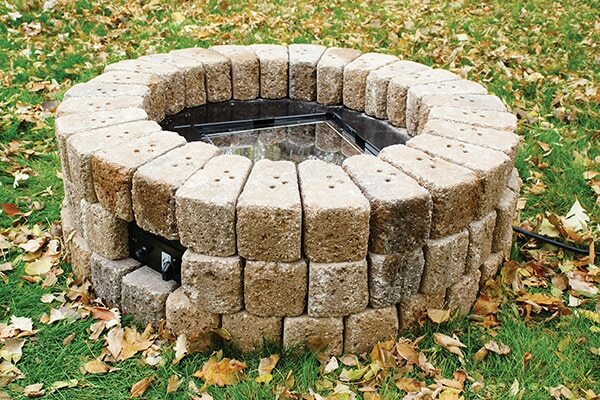 Assemble your burner and place on top of the concrete block ring. Ensure there is at least 1-in. overlap to secure the burner ring. 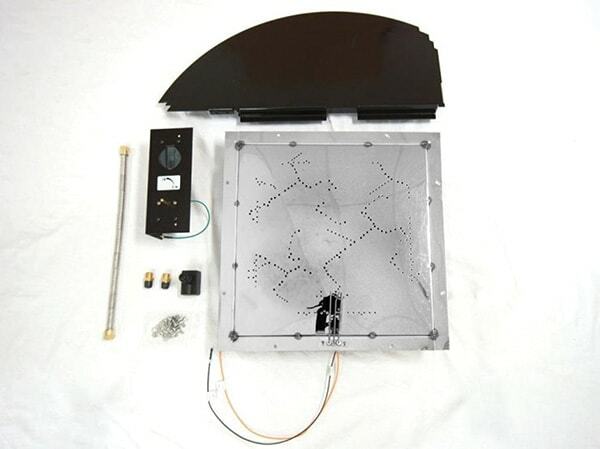 Consult the Gas Burner Kit manual for proper assembly instructions, clearance to combustible ratios, and gas connection instructions. 10. 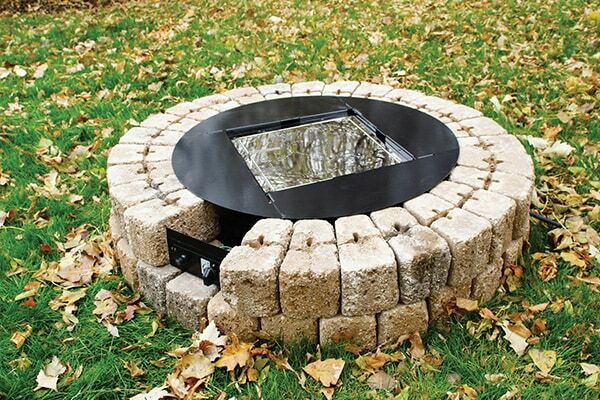 Light your new fire pit, sit back, relax and enjoy!